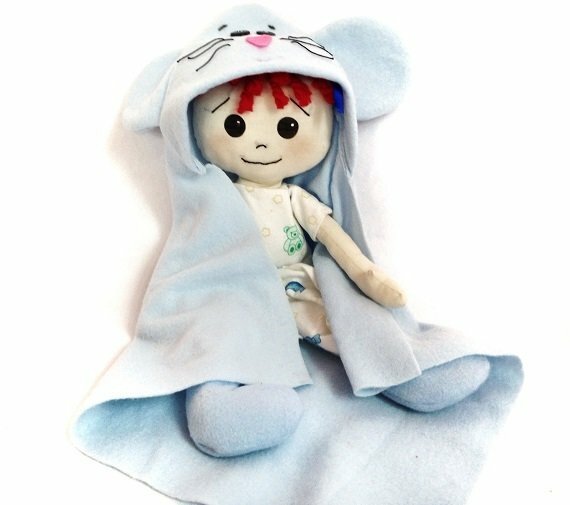 Pattern includes the story of Tabitha and her magic mouse blanket. Kids will to make wishes along with their new adorable raggedy doll! Doll is made from muslin cotton fabric. Mouse blanket is made from fleece fabric.